Jobsmart 1.5 up 26 gallon. Works great. Prefer texts. 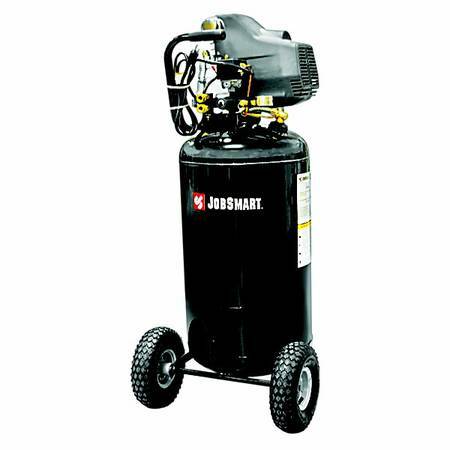 JobSmart Air compressor. 26 Gallon. Delivers 5.0 SCFM 40 psi and 4.0 SCFM 90 psi and 125 psi maximum pressure. Very Good Shape. With water filter and 50 ft hose.